Our great selection of both new and resale penthouses for sale includes only high-end properties with quality communal facilities such as swimming pools, spa, gymnasium, sauna, jacuzzi, infinity pools, children´s playground, etc. 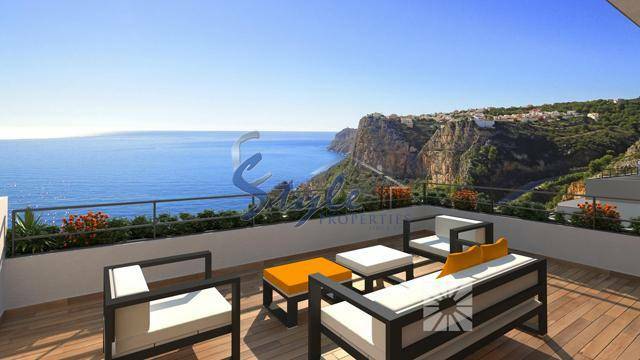 You can also enjoy impressive sea views from the large open terraces. Some of our penthouses available are situated just a five-minute walk from the beach in Punta Prima, Costa Blanca, Spain. This area is a short drive from all kind of facilities and amenities to make your life easier. You can walk to a wide range of bars and restaurants and shopper's paradise Zenia Boulevard commercial centre is only a five-minute drive.